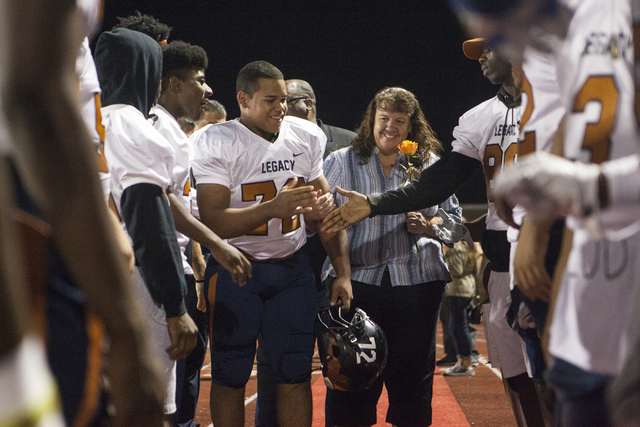 Legacy running back Samuel Turner set a single-season rushing record and led the Longhorns to a 49-14 victory over Shadow Ridge on Friday night. 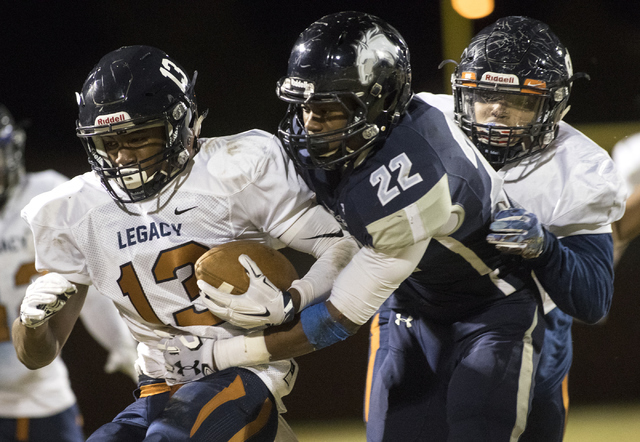 It was quite simple for Legacy on Friday night: win and in. 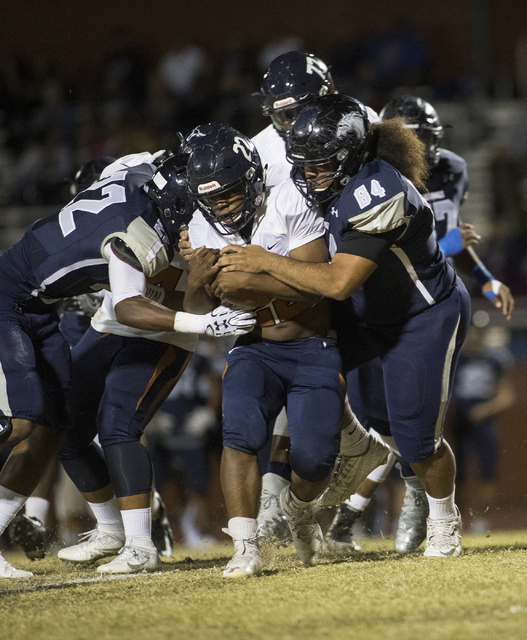 Samuel Turner rushed for 195 yards rushing and four touchdowns as the Longhorns routed visiting Shadow Ridge 49-14 to earn the Northwest League’s No. 3 seed in the Sunset Region playoffs. 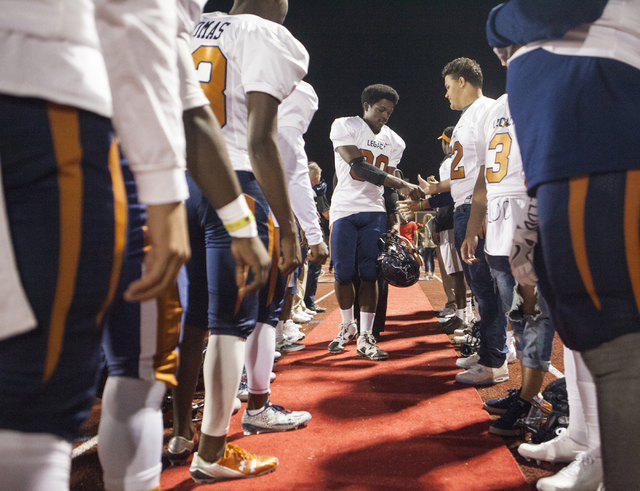 Legacy will face Southwest League No. 2 seed Sierra Vista in the Sunset Region quarterfinals on Thursday. 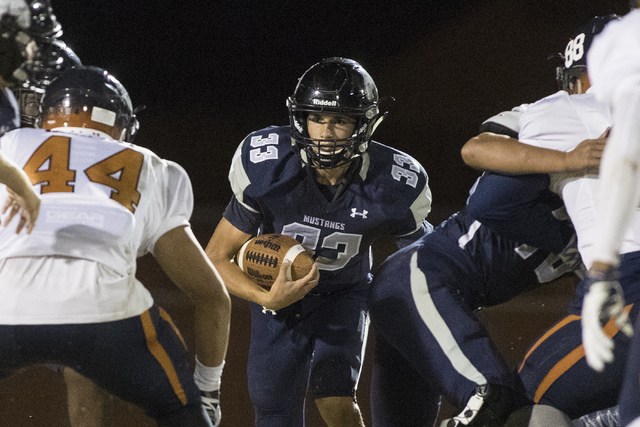 After Legacy (7-2, 4-2 Northwest) forced Shadow Ridge to punt on the game’s first possession, Foster set the tone on the Longhorns’ first offensive play, scampering 60 yards for a touchdown to give them an early lead. Foster rushed twice in the game for 94 yards. 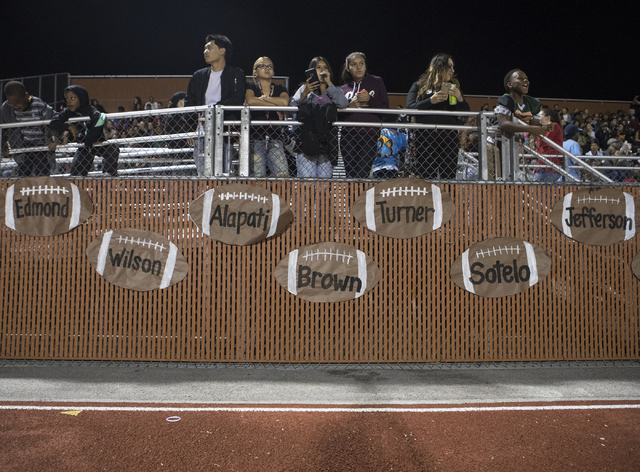 Turner ran for his first touchdown of the game — a 1-yard plunge — later in the quarter, moments after the Longhorns’ Skye Parker recovered a fumble that gave Legacy the ball at the Shadow Ridge 3-yard line. It was the first of three costly first-half fumbles by the Mustangs, who were held to a mere 115 yards in the half. The Longhorns defense has been stellar most of the season, yielding more than 22 points just one time, while allowing an average of 18 points per contest. 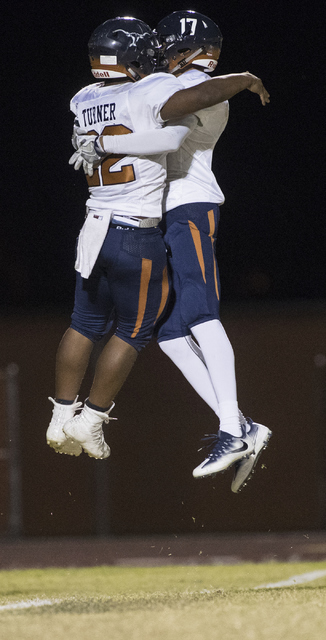 Though the Mustangs (5-4, 2-4) ran more than twice the offensive plays Legacy did — 67 to 32 — they couldn’t come up with the big play. 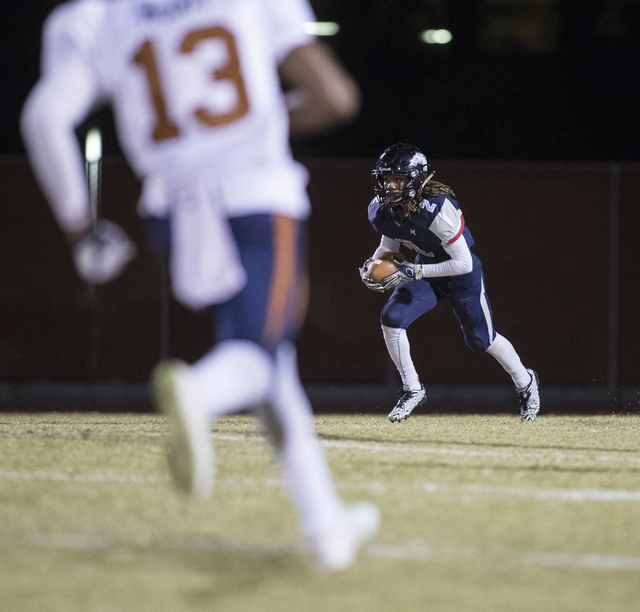 Legacy had six plays go for at least 34 yards, while nine of their offensive plays went for 10 or more yards. 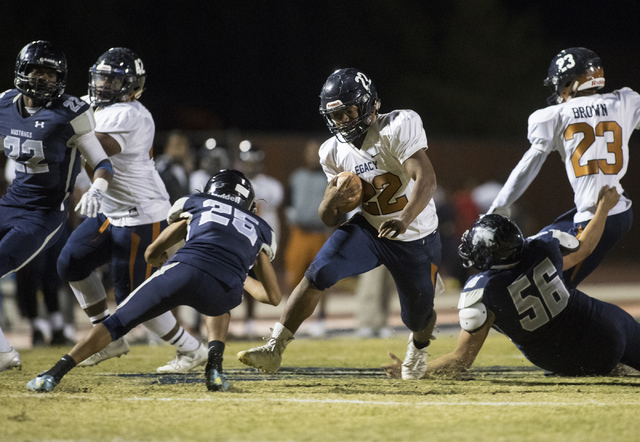 Legacy quarterback Roberto Valenzuela hit Marcus Brown for a 51-yard touchdown strike early in the second quarter, and three minutes later Turner raced 84 yards for his second touchdown of the night. That run gave him the school’s single-season rushing record, which is now at 1,774 yards. Turner added touchdown runs of 53 and 12 yards. 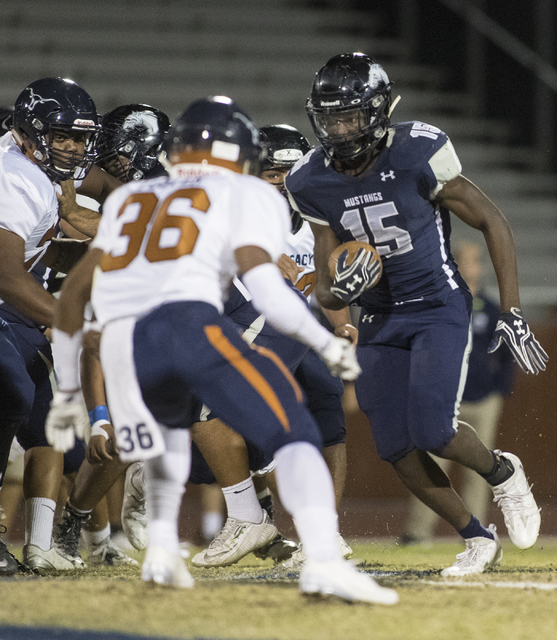 Malik Lindsey ran for 139 yards on 29 carries to lead Shadow Ridge, and Aubrey Nellems had 127 all-purpose yards and one touchdown for the Mustangs. 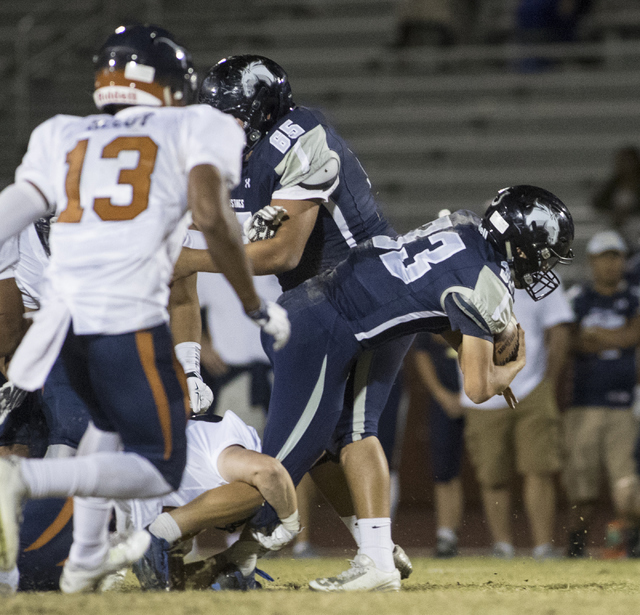 Quarterback Kody Presser added a 16-yard touchdown run for Shadow Ridge. 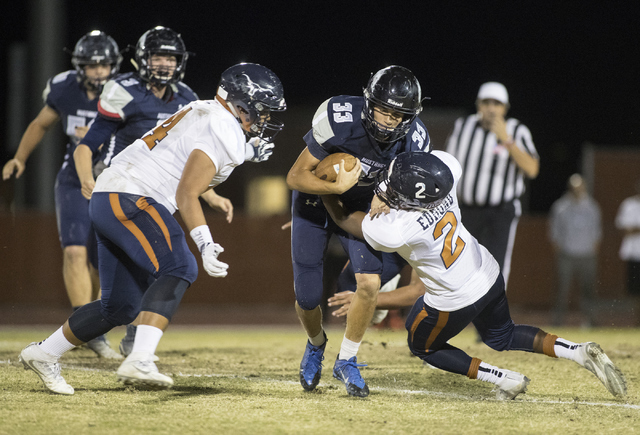 Shadow Ridge, which opened the season 5-1, closed the campaign with three consecutive losses by a combined score of 110-29 to get bumped from the playoff picture, while Palo Verde (3-6, 3-3) snuck in to nab the final berth in the Northwest.